Introducing: Tip of the week! I’m starting a new weekly series on how to reduce your plastic use. I’ll make each weekly tip simple and straightforward. And it will be easy, I promise. I won’t try to convince you to grow all your own food or do anything that takes more effort than the average person is willing to put in. If you want expert, advanced super tips, I can give you those, too. Just ask! But this series will be for those who are looking for an easy way to make a difference. I’ll begin with some info and then we’ll dive into the tips next week. 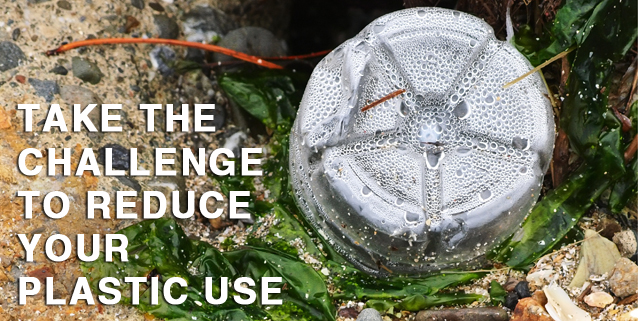 Why should you be reducing your plastic use? Because the convenience of single use plastics have an extreme environmental impact when the plastic ends up in a landfill in the Philippines for 100 years. And that’s one of the best case scenarios (yes, even if you put the plastic into the recycling bin). Most plastics take over 500 years* to breakdown. Some studies do show 10-50 years, but those are under “optimal” conditions. Exposed to air, sunlight, and water. So if that plastic bag is lucky enough to end up on the beach in Hawaii, it might become invisible in as little as ten years. Even when those plastics do breakdown, they don’t disappear, they merely degrade. Meaning the pieces just get smaller and smaller until we can’t see them anymore. But they’re still in our environment, getting ingested by birds and fish and whales and worms. And eventually by the humans that eat those birds and fish and whales and worms. And yes, in certain circumstances, plastics are necessary. I fully agree. The medical field would be effed without plastic. I’m not saying don’t get that heart surgery, I’m just saying there are simple steps we can take to cut down on our every day needless consumption of single use plastics. And you’re thinking, “No – I put my plastic into the proper blue recycling bin, so everything’s fine”. Did you know our recycling frequently gets shipped off to a third world country where they go through it for scraps. But beyond that, the parts that aren’t salvaged just sit on the other side of the planet polluting landfills and waterways. This is a photo of a canal in Haiti filled with Styrofoam containers. Another scenarios is that plastic you bought and used one time can still easily end up in a gyre. 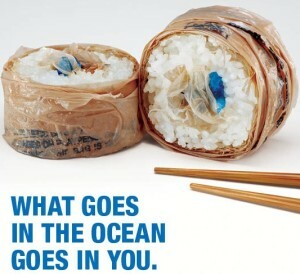 Alongside a billion other tiny pieces of plastic that are slowly photodegrading into the ocean. That motto was cleverly phrased in the order we should be executing the steps. So recycling should actually be used as one of our last resorts as it uses loads of energy and other resources to convert the old product into a new one. Recycling has a positive impact. But reduction of plastic consumption is vastly more important. Reduction stops the us from needlessly introducing plastics into the environment in the first place. And making smart choices sends an important message to vendors and manufacturers that our lifestyles have changed. The less plastics we use, the fewer they will produce and more alternatives will be made available. The best way to deal with this situation is through preventative measures to ensure that we stop from using plastics in the first place. So stay tuned for my weekly tips on what you can do to help reduce your plastic consumption! To show you learning about plastic can be fun, I have included a link to a fab mockumentary: The Majestic Plastic Bag. (1) Polyethylene Terephthalate PET(E) – This is the easiest plastic to recycle. These materials are relatively cheap and provide containers for soda bottles, water bottles, clamshell packaging, potato chip bags, produce bags and other packaging. Breakdown time for this type of plastic under perfect conditions can range from 5 to 10 years. (2) High density Polyethylene HDPE – This recyclable plastic is used to make detergent bottles, bleach bottles, milk cartons, shampoo and conditioner bottles, motor oil and many other non-food items. 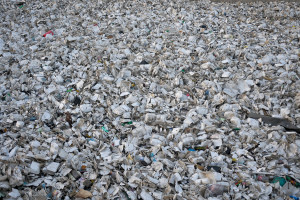 These plastics will degrade in approximately 100 years, depending on the thickness of the plastic used. (3) Polyvinyl Chloride PVC – PVC does not readily degrade and when it does, it gives off a number of toxic materials. This is the single worst plastic according to several health organizations. Greenpeace has been lobbying to stop the use of PVC because of the dioxin produced during its manufacture. (4) Low-density Polyethylene LDPE – This is what our current plastic grocery bags are made of. If exposed to ultra violet light, these bags have been estimated to break down in as little as 500 years with a conservative average time of 1000 years. If there is no exposure to a light source, say at the bottom of a landfill, the plastic may remain intact indefinitely. (5) Polypropylene PP – This material is generally found in more permanent capacities such as rope, clothing and performed shower kits. It is highly resistant to photo degradation and will not decay for 1000 years. (6) Polystyrene PS – This is the plastic in Styrofoam packaging peanuts, cups, coolers and many other lightweight applications. This type of plastic will break down in under 50 years. The surface area exposed to sunlight will determine the exact rate as the more surface area will mean more photons reaching the plastic and a quicker photo degradation process. (7) Other Types – This includes anything not in codes one through six, such as car parts. 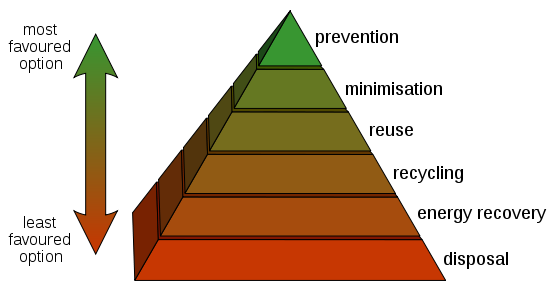 Most plastics in this section do not breakdown and are considered permanently, chemically bonded. This entry was posted in tips and tagged biodegrade, breakdown, consumption, decompose, degrade, environment, gyre, gyres, numbers, photodegrade, plastic, plastics, prevention, recycle, recycling, reduce, resin, tips, types, use, waste, years. Bookmark the permalink. 9 Responses to Introducing: Tip of the week! When I was on the galapagos there were tiny pieces of plastic on limited access beaches. These wash up from the pacific gyre and from people disposing of plastics improperly, either the primary user or the ‘recycler’. Really look forward to this series and let me know if you want sad plastic pictures. Thanks Mare! I’m sure the pics will make e sad, but I’d still love to see/use them! Awesome. Joined! Question though–I know plastic is bad–so is buying water (say, lemon cabonated water (because you’re hopeless addict)) in a disposable container–but is it “better” or “worse” to get that kind of water in glass bottles rather than plastic if you’re going to recycle both/either? I should just buy a water carbonator (because I am a hopeless addict). That’s the right answer…right?? Plastic is most always the worst option! What about the kind of returnable/reusable big plastic water bins I have delivered? Wow – awesome project, especially if you’re going to actually answer tricky questions like Danielle’s. 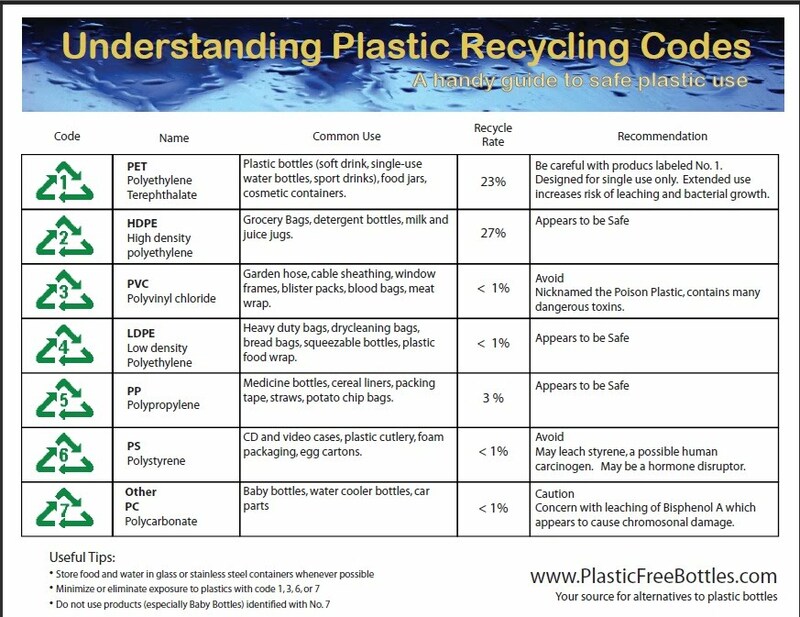 I TRY to reduce plastic use, but a whole lot of it still winds up in my recycling, so I can definitely use the tips. Mary – those aren’t as terrible because they are huge and reused indefinitely. They are a pretty good way to go for your particular situation. Mom – this series will be perfect for you! I will give you all the tips! Glad to have you onboard!